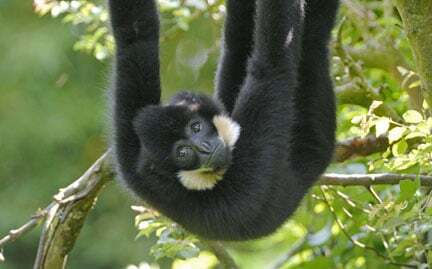 Inhabiting the tropical forests of Laos, Vietnam and southern China, white-cheeked gibbons eat mostly fruit, leaves, buds and flowers, occasionally feeding on eggs, young birds and insects. These lesser apes move and feed primarily in the tropical forest canopy, rarely descending to the ground. Bonded in pairs, they travel by swinging from branch to branch at speeds up to 35 mph. White-cheeked gibbons are threatened by habitat loss and hunting. For every website we build, Double Fox Websites adopts an endangered animal in our client’s name. Our goal is to help these beautiful creatures, one foxy website at a time. Subscribe and pick up clever ideas, helpful encouragement and a smattering of humor. WooCommerce Alone Is Not Enough! With over 30 years of combined experience and a history of success we build highly functional websites at a price you can actually afford. We empower you with the technology and support to grow your business without unbearable investments in time and money.